Whether you started school in August our you go back after Labor Day, teachers must make their own mental health a priority. 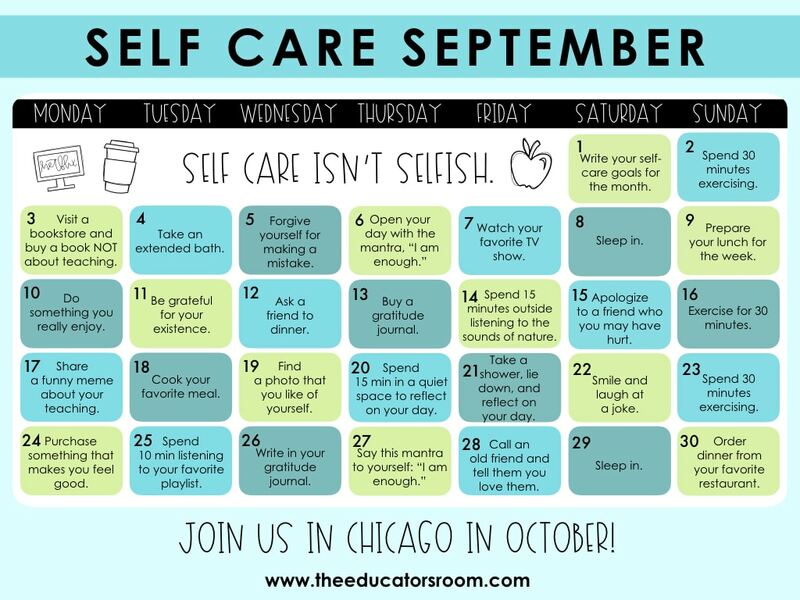 Starting this month, we’ll be releasing our limited September Teacher Self-Care calendar for you to download for free. Email this out to your colleagues who need a little bit more love or post it on social media and tag us in your post. For the JPEG version, click here.